When we hit a writer’s block, we know what to do. We fall back on techniques learned from master poetry teacher Kenneth Koch: create an obstruction or a rule to bat your head against. Choose an insane and rigid form like the sestina; exclude the letter E as Georges Perec did for his novel A Void; pretend you are someone else. We are having a hard time writing about the newly issued, long-lost book by Mark Rothko (1903-1979). Written by one of our favorite New York School painters, it’s called The Artist’s Reality, edited with an introduction by his son Christopher Rothko (Yale University Press). Not only do we remember some of Koch’s poetry workshop assignments, but last night we watched The Five Obstructions, a film credited to the Danish directors Lars von Trier and Jorgen Leth. Although Leth, the director of an elegant short called The Perfect Human (1967), is von Trier’s much-revered teacher, the film is a contest between the two men, rather than a collaboration. We think of von Trier — Medea (1988), Breaking Waves (1996), Kingdom (1997), The Idiots (1998), Dancer in the Dark (2003) — as an important post-Godard filmmaker. The Five Obstructions (2001-03) is not fiction, nor is it quite a documentary. We get to see the co-author of the Dogme 95 rules for moviemaking in person, and at his worst or best (you’ll have to decide). In summary, the Dogme rules or so-called Vows of Chastity require: hand-held cameras; available lighting and sound (no music unless it occurs where the scene is shot); 35mm color; no superficial action involving murders or weapons; and — worst of all — the film cannot be a genre film, and the director cannot be credited. Some remarkable works have been the result: von Trier’s truly offensive The Idiots, The King Is Alive (by Kristian Levring), Mifune (by Soren Kragh-Jacobson), and The Celebration by (Thomas Vinterberg). Von Trier himself has gone far beyond Dogme, but in The Five Obstructionshe assigns Leth to remake his cool 1967 film The Perfect Human: This is a man; this is how a man moves; this is a woman. Leth is instructed to remake his Danish film classic five different times, each time with different obstructions. The first is to film it in a country he has never visited: Cuba; in shots that are no longer than 12 frames. The second is to remake it in the most miserable place on earth; Leth decides on a red-light district in Bombay. He is also required to take the role of the man in The Perfect Human. The third obstruction is to make a cartoon version; both directors despise cartoons. We will not reveal the Fourth and Fifth Obstructions, for to do so might lessen your pleasure in the film. So how, you might ask, is all of this going to allow us to write about Rothko’s difficult book? First Obstruction (you may have guessed it already): no first-person. Like Rothko in his book, we must use the first person plural, otherwise known as the royal or magisterial “we,” like G-d uses at certain points in Genesis. Second Obstruction: assume the reader is already aware of Rothko’s achievement as a painter, an achievement that did not really occur until after he had written this little book of complaints in 1940-41. At that time, he, like nearly every other American artist of importance, was still toying with surrealism — but in Rothko’s case, without the nasty parts. Third Obstruction: bring together The Artist’s Reality and the apparently unrelated film The Five Obstructions; treat them like two musical instruments in a Baroque duet. Fourth Obstruction: no autobiographical anecdotes. 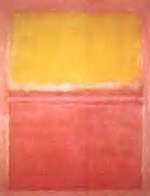 Fifth Obstruction: pretend we are Mark Rothko and/or pretend to interview him. Sixth Obstruction: in order not to embarrass anyone with Rothko’s pomposity, lack of logic, and Euro-philia, do not use any direct quotes from the book. JP: Why did you write The Artist’s Reality? MR: We did not write it because we were, as my son Christopher suggests in his preface, depressed about the breakup or our marriage to the jewelry-designer Edith Sachar. Nor, by the way, as he states, did she force me to help her with her work. JP: But isn’t this why you ended up hating the applied arts? MR: It was still the Depression, and it was clear that the WPA (which helped to pay only some of our bills) was on the way out. We had to do whatever we could to make ends meet. And Hitler was on the march. Isn’t the Depression and Hitler quite enough to be depressed about without blaming my first wife? Later on I was depressed about the Holocaust. JP: Christopher says your second wife, Mary Alice Beistle (his mother), was more supportive even though she was an illustrator, which is a profession, like that of designer, you show contempt for in your book. MR: Our contempt, if that is what it is, was strictly in terms of art. Function and illustration at that time seemed to us the enemy, along with photography, which as we wrote was merely following along after painting. JP: Can your polemic, sometimes a rant, have been caused by envy of the successful artists of the time such as Thomas Hart Benton, Grant Wood and the other regionalists; or even your particular bête noire, the ever-popular Maxfield Parrish? MR: We did not write it out of hatred for those artists or out of envy. We wanted to show that not all artists are morons, but sometimes merely act that way in self-defense and to gain some freedom. More important, what we were trying to do was compose a defense for the kind of art we were making ourselves, one that emphasized plasticity. JP: What does plasticity mean to you? MR: Movement. We wanted to show the opposition between illusionism and plasticity. JP: We don’t understand, but then again you have your own definitions. You even use impressionism in a peculiar way. But, speaking of impressionism or Impressionism, what about light, which after all became your theme when after the war you became an abstract painter? MR: We beg to differ. 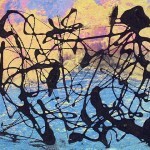 If you had done your homework, you would realize that we never considered ourselves an abstract painter. The subject has always been important to us. And tactility. JP: It seems to us that your screed, now made public — an exercise, by the way, you never finished — was helping you move to the breakthrough paintings that follow. We think this is the real importance of the text. There are no new ideas. Unlike other painters of the period, you show no interest in jazz or popular culture. Your friend Barnett Newman was a much better writer and thinker. MR: We mention the movies. We definitely remember mentioning the movies. JP: But only to define beauty as having something to do with female movie stars, which we suppose makes you only human, but is hardly a sophisticated thought. MR: We never aimed to be sophisticated. We were interested, instead, in truth and in showing that not all artists are morons, although we sometimes pretend to be to suit our own purposes, to gain freedom. JP: Is that why you put art on the same level as philosophy and poetry? We find it surprising that you equate philosophy with ethics, but there is in both a need to embrace the tragic and the heroic. Is that the link? MR: Yes, indeed. And far above merely artful things like applied art and illustration. JP: So you were, perhaps unconsciously, trying to make a path for what was to come? MR: Who knows. But now it does look like that, doesn’t it? JP: We were surprised that you devoted so many words to the art of the past. MR: We were trying to get a handle on it, rather than find some new interpretation, trying to figure out where current painting might fit in terms of the issues of plasticity and myth. JP: Did you intend your book for publication? MR: Well, we carefully stored it away in an accordion file. We might have come back to it, but painting itself got in the way. We found we could say much more with color than we could with words, words, words. JP: Why, Mr. Rothko, should anyone read your little book? MR: It will bring the reader back to a certain time, when making art was a real struggle, particularly art that emphasized plasticity. What we were thinking then is a clue to what other artists of a certain ambition were thinking. We lived long enough to see all of that change, and not for the better. JP: So finally, what is wrong with illustration? MR: It is always about something else than what it is; there is no give-and-take with the viewer, no struggle. It isn’t spiritual. The reader might wonder which of the Danish directors wins the contest in The Five Obstructions. Leth succeeds even when, according to von Trier, he fails, as in the Bombay remake. But it is von Trier who really wins because it turns out, as we are slow to deduce, that the whole game has been to get Leth out of his severe depression and working again. If Rothko (who suffered from depression in darker, premedication times) had had an adoring student like von Trier to trick him out of his suicidal funk, he might not have slit his wrists. But what obstructions would have worked? Start making pop art? Avoid the color black?